Happy Chinese New Year! February 8, 2016 marks the first day of the Lunar New Year and the start of the Year of the Monkey. How will you celebrate and share this holiday? Expand your knowledge by watching the 5 TED-Ed Lessons below. 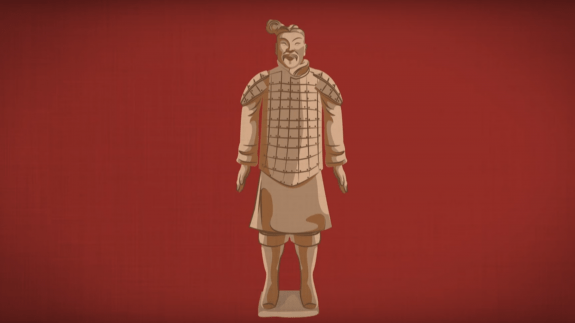 In 1974, farmers digging a well near their small village stumbled upon one of the most important finds in archaeological history — vast underground chambers surrounding a Chinese emperor’s tomb that contained more than 8,000 life-size clay soldiers ready for battle. Megan Campisi and Pen-Pen Chen shares the fascinating history of Emperor Qin Shi Huang. Watch this TED-Ed Lesson below. 2. What makes the Great Wall of China so extraordinary? The Great Wall of China is a 13,000-mile dragon of earth and stone that winds its way through the countryside of China. As it turns out, the wall’s history is almost as long and serpentine as its structure. Megan Campisi and Pen-Pen Chen detail the building and subsequent decay of this massive, impressive wall. Watch this TED-Ed Lesson below. Most people recognize his name and know that he is famous for having said something, but considering the long-lasting impact his teachings have had on the world, very few people know who Confucius really was, what he really said… and why. Bryan W. Van Norden reveals the man behind the mystery. Watch this TED-Ed Lesson below. In the mid-ninth century, Chinese chemists, hard at work on an immortality potion, instead invented gunpowder. They soon found that this highly inflammable powder was far from an elixir of life — they put it to use in bombs against Mongol invaders, and the rest was history. Eric Rosado details how gunpowder has caused devastation around the world, despite the incandescent beauty of fireworks. Watch this TED-Ed Lesson below. The ubiquitous yin-yang symbol holds its roots in Taoism/Daoism, a Chinese religion and philosophy. The yin, the dark swirl, is associated with shadows, femininity, and the trough of a wave; the yang, the light swirl, represents brightness, passion and growth. John Bellaimey explains why we all contain the spirit of yin and of yang — and how we can achieve a balance of both in our lives. Watch this TED-Ed Lesson below. What is life like under the sea?